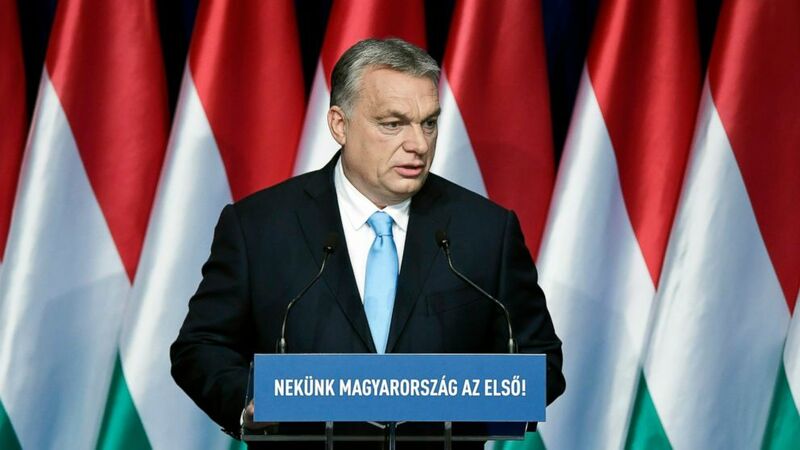 camera (The Associated Press) Hungarian Prime Minister Viktor Orban delivers his annual "State of Hungary" speech in Budapest, Hungary, Sunday, Feb. 10, 2019. The inscription reads: "For us Hungary is the first!" Hungary is facing "many interconnected human rights challenges," including laws targeting civic groups, backsliding on women's rights and the systematic detention of asylum-seekers, the Council of Europe's human rights chief said Monday.